Chrissy Teigen and John Legend have been delighting the internet with their love for over a decade. On Sept. 14, the couple celebrated their five-year wedding anniversary, which also falls on the exact day they met 12 years ago. 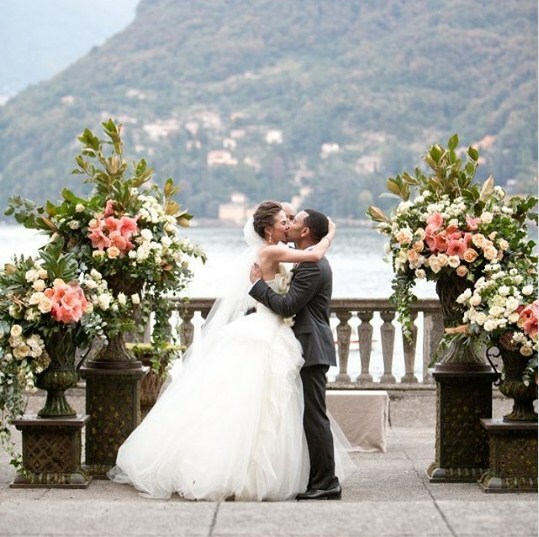 "We have two babies and some pups and a life I am grateful to have," Chrissy wrote in a sweet Instagram post featuring a picture from their 2013 wedding in Lake Como, Italy. "My everything, I love you and am so proud of the story we've created." Because it's Chrissy, however, of course she had to sneak in a little dig. Joking about the timing of her Target kitchenware launch on the same day it was announced that John would be joining The Voice, Chrissy added, "But you are an assh*le for releasing your @nbcthevoice news on my Target launch day for real." In his hilarious anniversary post shared shortly after, John dutifully plugged Chrissy's Target collection. "What can I say on a day like today? I could talk about the 12 beautiful years I've known you. I could talk about the 5 years of wedded bliss, the 2 wonderful children we've brought into this world. But I feel the urge to say something far more important," he said. Adding, "I LOVE your new kitchenware line at @Target. I can't wait for it to come out on September 30th." He didn't stop there either! While he was at it, John also made sure to mention Chrissy's forthcoming cookbook. "I'm so proud of everything you've done in your career and how much joy you bring to people's lives. Did I mention that your Cravings Cookbook is coming out Tuesday? Because it's coming out Tuesday. I love you, baby." That's true love right there, people.